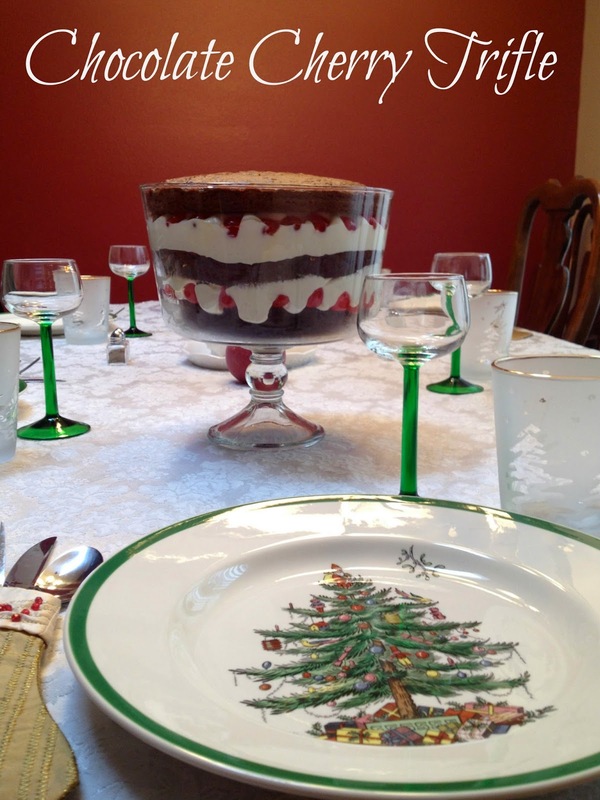 For a Christmas party with some amazing family friends, who are really just family, my mom and I decided to take a stab at a trifle. Neither of us had made one before but it was surprisingly easy and looked beautiful! Depending on the depth of you trfile container, make two or three cakes in 8 inch round cake pans. While the cakes are baking, make the pudding. Mix one container of cool whip into the pudding with a spatula. Take the maraschino cherries out of the jar and drain them in a colander. Do not rinse. You can pat them dry if you think they are still dripping. After the cakes have cooled completely, place one cake on the bottom of the dish. Use a knife to trim it if it doesn't fit in the bottom of the dish. Next place a layer of maraschino cherries on top. 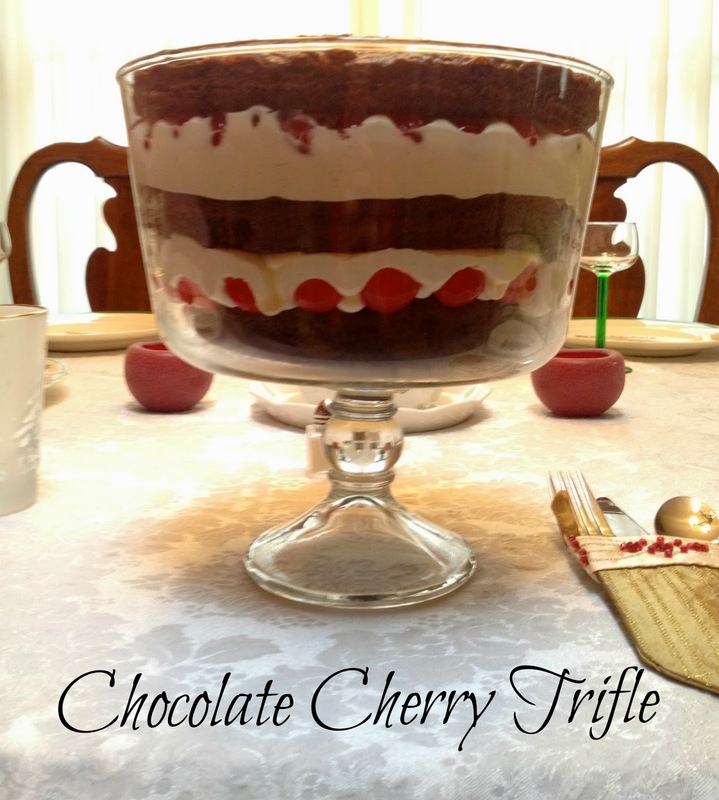 Make sure some of the cherries are up against the glass so you can seem them in the layers. 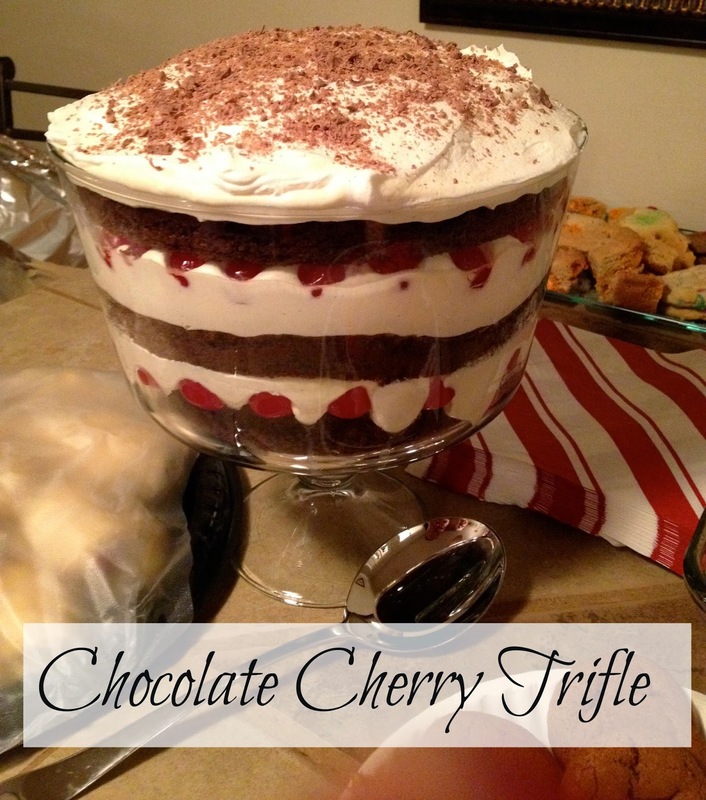 Cover the cake and cherries with a layer of the pudding and Cool Whip mixture. Keep repeating layers until you reach the top of you dish. The second container of Cool Whip will be the top layer of your dish. Garnish with a few cherries or some chocolate flakes. This dessert was delicious and surprisingly light so we didn't feel as bad eating dessert after a giant meal.